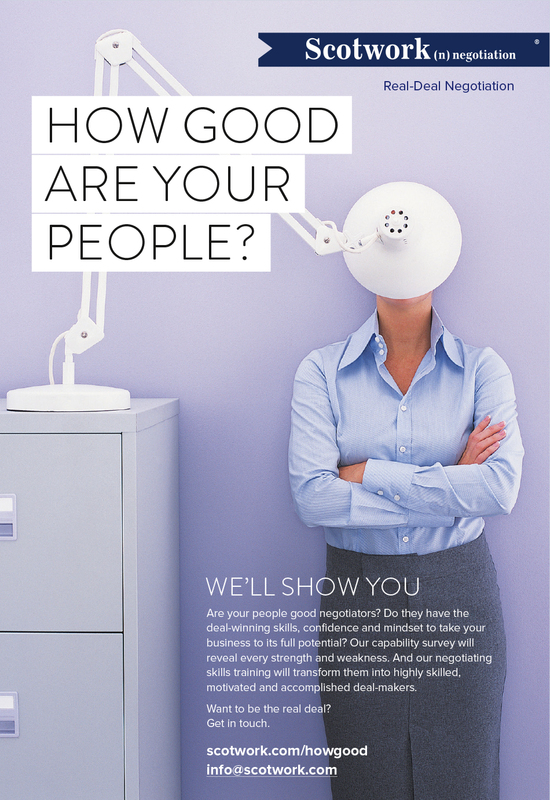 Scotwork has trained over 200,000 people in the skills of deal-making (scotwork.co.uk). 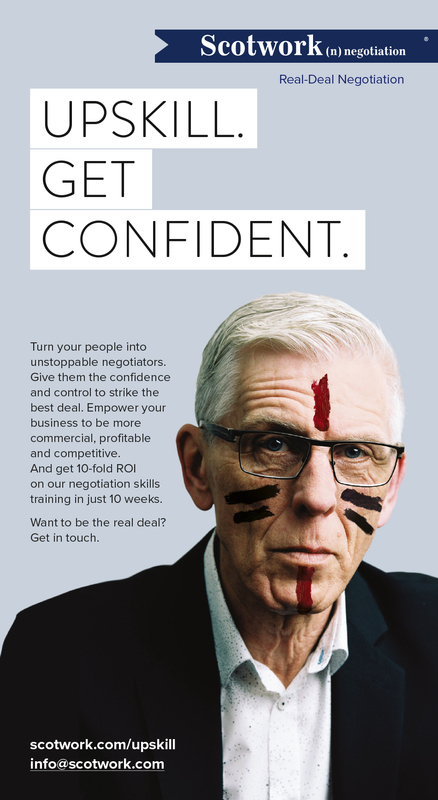 The world’s top negotiation specialist was looking to reach a broader audience and nurture potential clients into booking training courses. This called for value-add material, both eye-catching and useful, even to the most experienced of deal-makers. 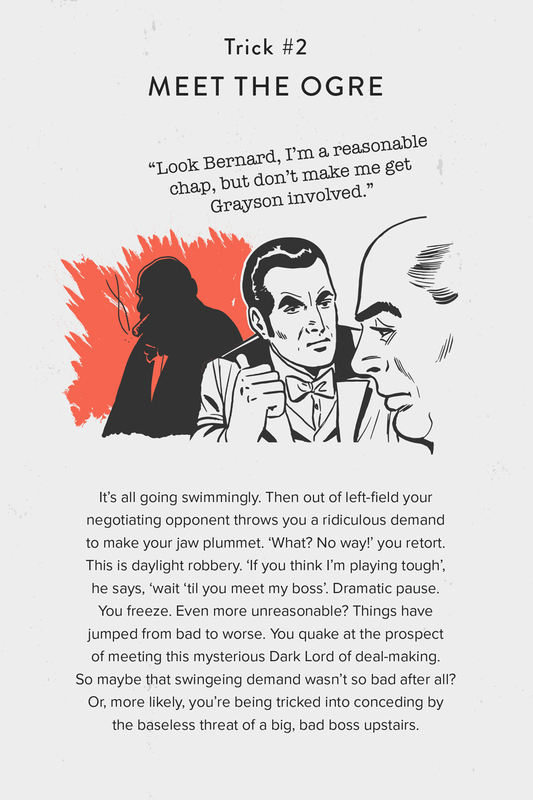 We created The Dirty Tricks of Negotiation ebook, an insight into the dark art of underhand negotiation tactics. 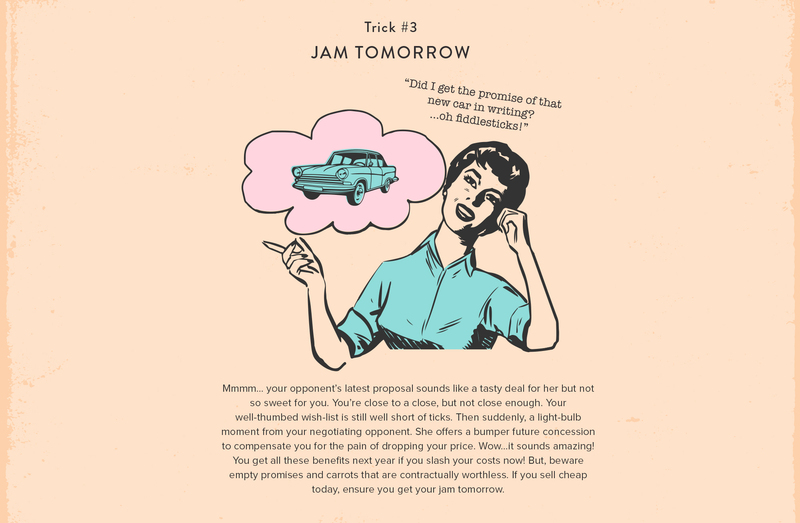 We presented this collection of the world’s most notorious deal-making tricks in a light-hearted easy-read digital format. 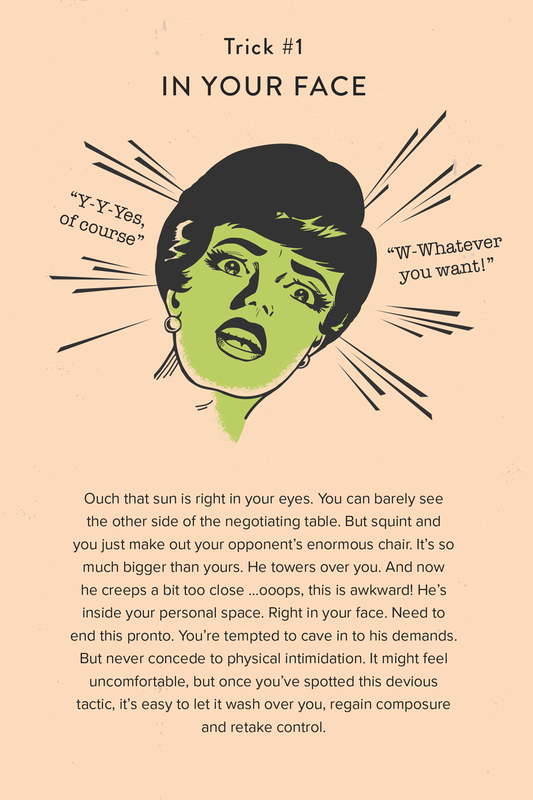 Each trick is played out and carefully illustrated in 1950s styling that underlines the timeless quality of these negotiation ruses. 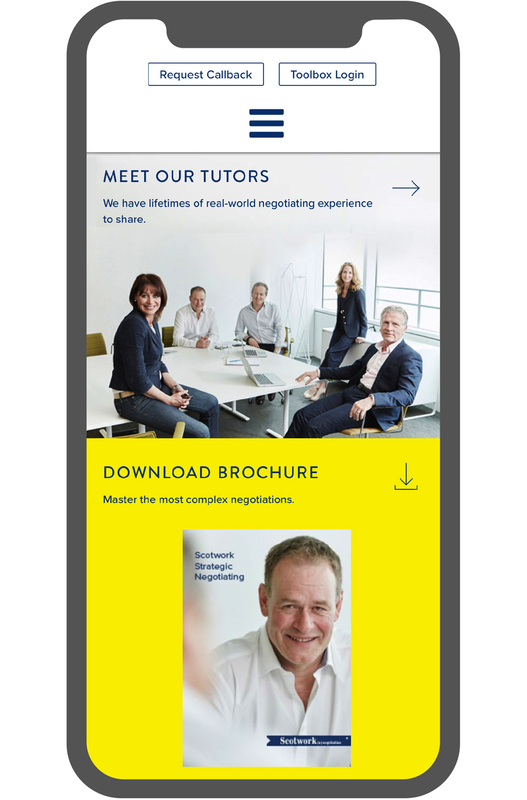 The campaign used email and social channels to drive prospects to a landing page for more information and a gated download of the ebook. This resulted in a phenomenal response with over 2000 downloads within days of going live. The success of Book 1 has prompted an equally popular sequel, The Dirty Tricks of Negotiation Book 2. We helped make a market leader into a thought-leader. 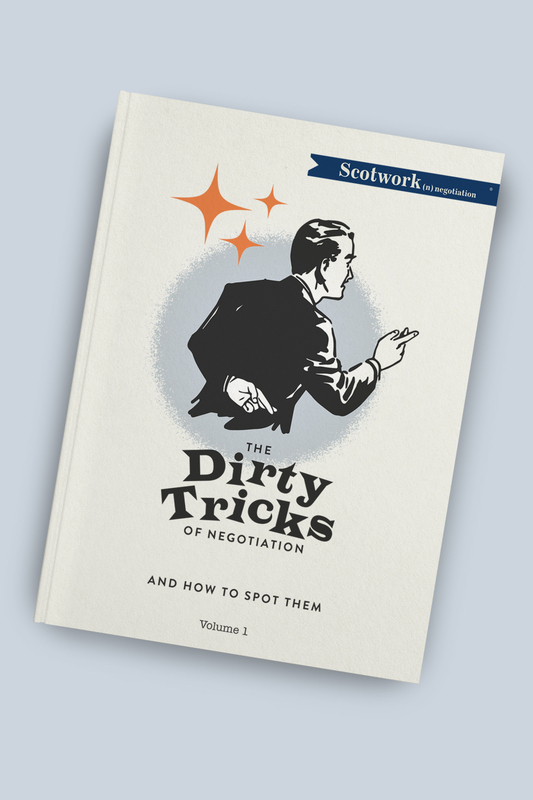 Even after 40 years dominance in the negotiation training sector, Scotwork remains alert to keeping its positioning in line with customer need and differentiated from the competition. 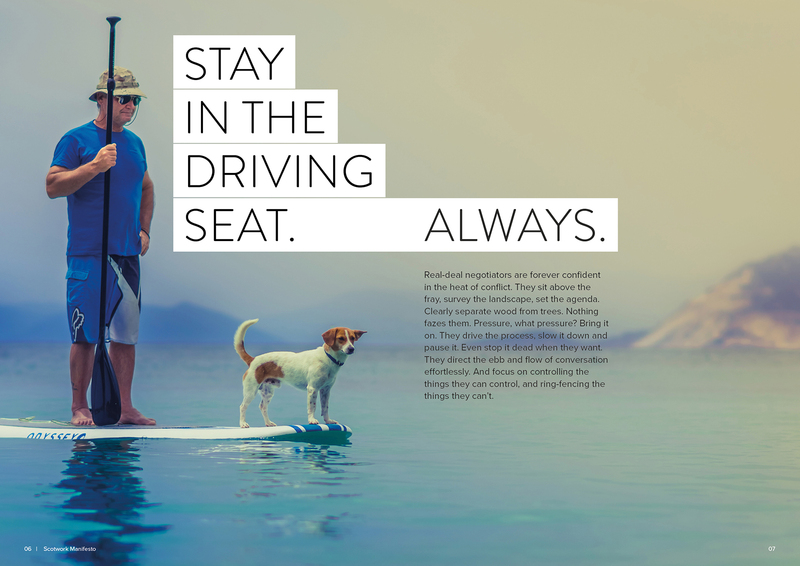 Amberjack was hired to redefine their brand, sharpen their messaging and put this fresh positioning to work across new websites and presentation materials. 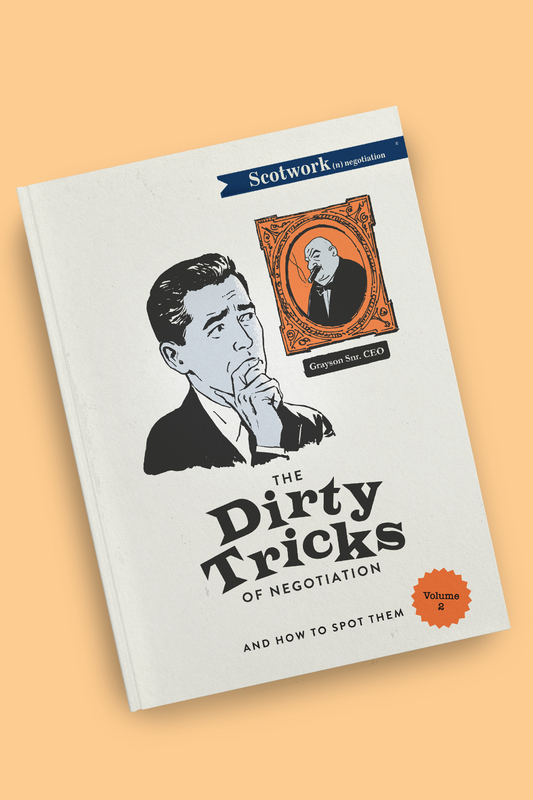 Scotwork’s negotiation specialists cover a broad range of industry backgrounds and collectively offer a huge pool of knowledge and expertise. So sourcing high quality raw material across a spectrum of commercial topics is never a problem. Amberjack’s mission was to edit and package this content into easy-read formats that appeal to Scotwork’s user and buyer communities, and find ways of planting their proposition among new audiences across the world. 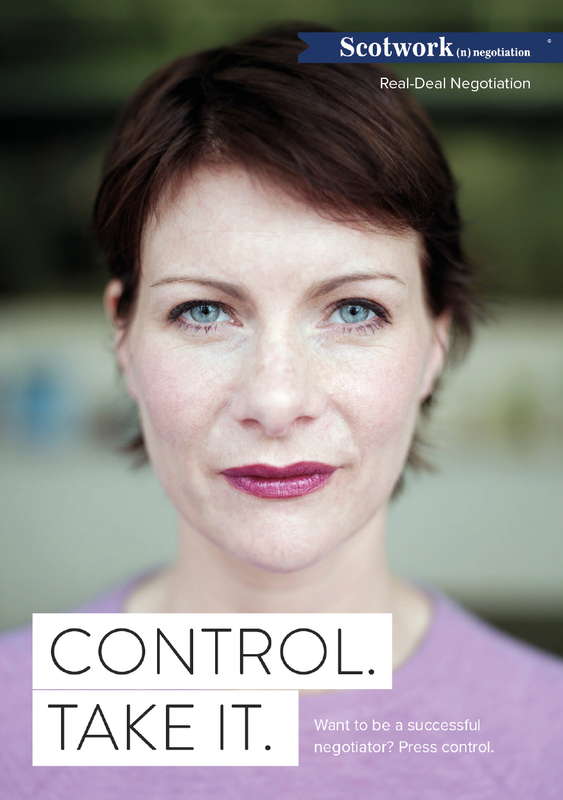 We created a people-centric photographic style, very direct, confident and cosmopolitan. 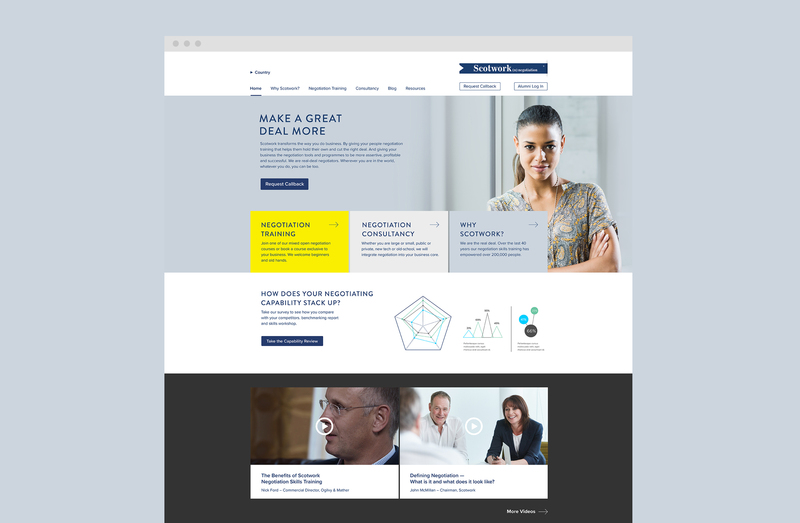 We created a manifesto, product ebooks and a raft of content pieces to showcase Scotwork’s rich negotiation knowhow and experience. These were promoted via LinkedIn, Twitter, and email as well as digital and print campaigns in the Financial Times and other prominent titles.